This book offers an incisive and ambitious critique of Asian Diaspora culture, looking specifically at literature and visual popular culture. Sheng-mei Ma’s engaging text discusses issues of self and its relationship with Asian Diaspora culture in the global twenty-first century. Using examples from Asia, Asian America, and Asian Diaspora from the West, the book weaves a narrative that challenges the twenty-first century triumphal discourse of Asia and argues that given the long shadow cast across modern film and literature, this upward mobility is inescapably escapist, a flight from itself; Asia’s stunning self-transformation is haunted by self-alienation. The chapters discuss a wealth of topics, including Asianness, Orientalism, and Asian American identity, drawing on a variety of pop culture sources from The Matrix Trilogy to Crouching Tiger, Hidden Dragon. This book forms an analysis of the new idea of Asian Diaspora that cuts across area, ethnicity, and nation, incorporating itself into the contemporary global culture whilst retaining a distinct Asian flavor. 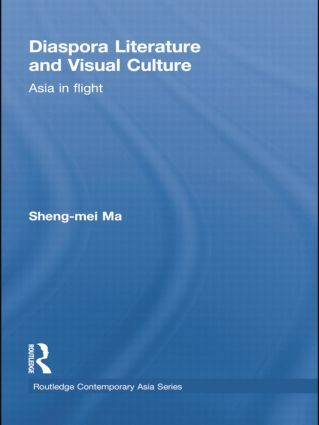 Covering the mediums of literature, film, and visual cultures, this book will be of immense interest to scholars and students of Asian studies and literature, ethnic studies, cultural studies, and film. Sheng-mei Ma is Professor of English at Michigan State University in Michigan, USA, specializing in Asian Diaspora culture and East-West comparative studies.